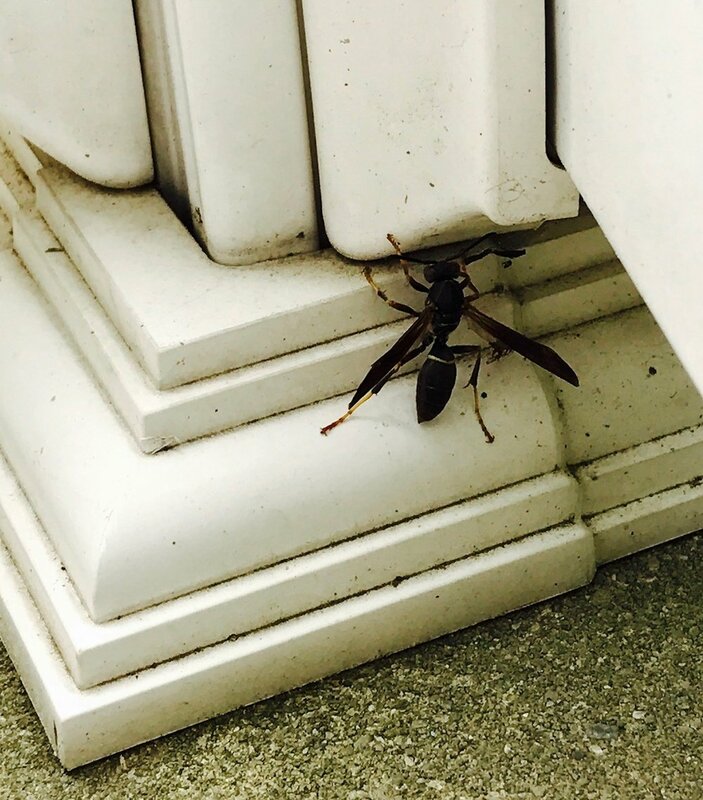 Wasps & Hornets — Wingman Pest Control, Inc.
Yellow jackets, paper wasps, hornets, and mud dauber wasps are drawn to our homes. They often attempt to make it their home too. In order to control them properly Wingman Pest Control uses a three-step approach. Power Duster used for precision applications exactly where the wasps are. The first visit involves getting the wasps under control. We use electronically calibrated equipment to apply safe and effective control materials exactly where the wasps are living. After wasps have been successfully controlled we remove the nests. The second visit involves removing all reachable wasp nests in order to ensure that no larva survive and for aesthetic reasons. We can seal out most gaps where wasps like to nest behind. During the second visit we also offer sealing work to prevent a re-infestation in that area.